Dr. Lori Whitley is a Board-Certified Dermatologist providing care for diseases of the skin, hair, and nails for children and adults. 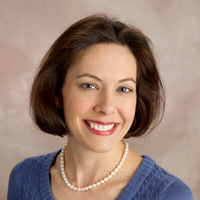 Dr. Whitley is a graduate of the University of Oklahoma College of Medicine, and completed her dermatology residency at the Washington Hospital Center in Washington, DC. She is a Fellow of the American Academy of Dermatology. Dr. Whitley's practice includes services such as skin cancer screening and treatment, evaluation of rashes, moles, and skin growths, minor cutaneous surgery, and treatment of chronic skin conditions like acne and eczema. She also offers rejuvenation and enhancement procedures including Botox injections, dermal filler injections (Restylane, Zyplast, etc. ), chemical peels, age spot treatments, and sclerotherapy (vein injections). Dr. Whitley is currently accepting new patients and is available for consultation.